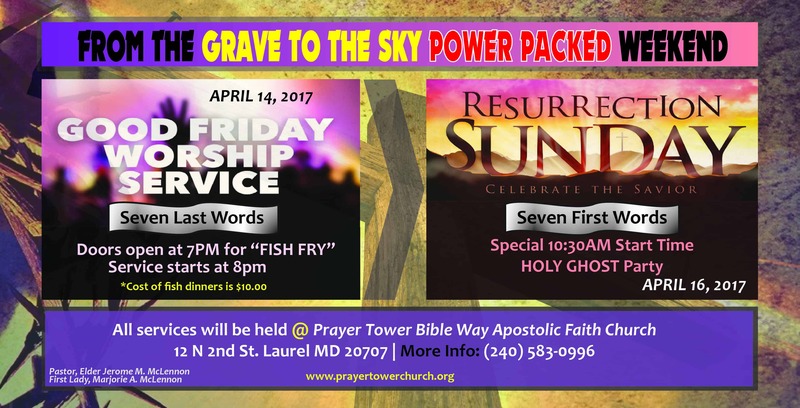 Prayer Tower Bible Way Apostolic Faith Church presents “From the grave to the sky power-packed weekend” of two great services. 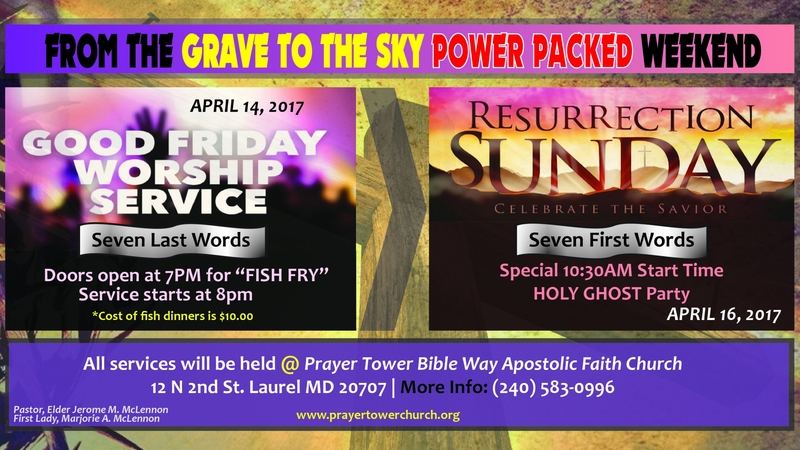 First on Friday April 14th at 7:00pm evething gets started with fellowship and Fish Fry. Fish dinners will be on sale starting at $8:00. Come have dinner with us. Immediately following the Fish Fry is The Last 7 sayings of Jesus before His death on the Cross. We remember Jesus with the Word and communion. Join us again Sunday morning on April 16th at a special start time of 10:30am for The First 7 sayings of Jesus after He was resurrected from the grave. We will also remember Jesus with the Word and with Communion. Please plan to be in attendance for this special Resurrection celebration. Bring your family/friends and enjoy Easter with the Prayer Tower Church family.